1) (Davenport, co. Chester, descended from Ormus de Davenport, temp. Conquest. The direct male line became extinct in 1677, when Davenport passed, in marriage, with Elizabeth, elder dau. and co-heir of John Davenport, Esq., to Robert Davies, Esq., of Manley, whose heiress carried the estate to Sir Matthew Deane, Bart., but d. s. p). (Calveley, co. Chester, descended from a younger son of Sir Ralph Davenport, of Davenport, temp. Edward III.). (Wheltrough, Bramhall, Henbury, Capesthorne, Blackhurst, &c., &c., all branches of Davenport of Davenport). (Welford, co. Gloucester). Ar. a chev. betw. three crosses crosslet fitchee sa. Crest—A man’s head, couped at the shoulders and side head, ppr. with a rope round the neck, or. This singular crest is supposed to have been borne on the helmets of the Master Sergeants in their perambulations through the Pcke Hills and the forests of Leek and Macclesfield, to the terror of the numerous gangs of banditti which infested in former times those wild districts. There is in the possession of the Capesthome family a long and very ancient roll, containing the names of the master robbers who were taken and beheaded in the times of Koban, Roger, and Thomas de Davenport, and of their companions. Motto—Fortes adjuvat ipse Deus. 2) (Chorley, co. Chester, and Davenport House, co. Salop, lineally descended from Thomas Davenport of Chorley, a second son of Davenport of Davenport). Same Arms and Crest, with a crescent for diff. 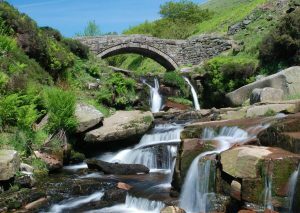 3) (Darnwell Bank). Same Arms and Crest, the chev. gu. and charged with three roses of the field. 4) (Foxley, co. Hereford; confirmed to the family of that name which settled in North Stafford, temp. Henry VI., and borne by Rev. George Hobatius Davenport). Same Arms and Crest, the chev. ermines. 5) (Salford, co. Lancaster, 1664). Same Arms, a canton for diff. 6) (Capesthorne, co. Chester, and Baginton, co. Warwick; exemplified to William Davenport-Bromley, Esq., of Baginton Hall, co. Warwick, upon his obtaining a royal licence, 1867, to discontinue the name of Davenport before that of Bromley, and thenceforth use the name of Davenport in addition to and after that of Bromley). Quarterly, 1st and 4th, ar. on a chev. betw. three cross crosslets fitchee sa. a rose of the field, for Davenport; 2nd and 3rd, quarterly, per fesse indented gu. and or, an inescocheon ar. charged with a griffin segreant vert all within a bordure gobony ar. (and for distinction) a canton erm., for Bromley. Crests—Davenport: A man’s head in profile ppr. around the neck a rope or; Bromley: Out of a ducal coronet or, a demi lion issuant ar. charged for distinction on the shoulder with a cross crosslet fitchee sa. supporting a pennon flying towards the sinister gu. thereon a lion pass. guard. of the first, the staff and spear erect ppr. Motto—Fear God, honour the King. 7) (Exemplified to Sir Salusbury Price Humphreys, Knt., of Bramhall, co. Chester, C.H., K.C.H., Rear-Admiral of the Fleet, and to Mary Lady Humphreys, his wife, illegitimate dau. of William Davenport, Esq., of Bramhall, upon their assuming, by royal licence, 1838, the surname of Davesport only). Ar. a chev. betw. three cross crosslets fitchee sa. a canton az. for distinction. Crest—A man’s head ppr. around the neck a rope or, charged for distinction on the neck with a cross crosslet fitchee sa., and to Mahra, Lady Davenport aforesaid, Ar. a chev. betw. three crosses crosslet titchce sa. a border wavy az. This is a locational/habitational last name denoting a person who was “of Davenport”, a township in the parish of Astbury, East Cheshire, England, in present day United Kingdom. The Domesday Book of 1086 AD, a survey of England and Wales ordered by the Norman William the Conqueror, recorded this city as Deveport, and it was also spelled Devnnport in the charters of the Abbey of Durham in 1130 AD. The town was named for the Dane River, consisting of a Celtic cognate of the Middle Welsh word dafnu (meaning to drop or trickle) and the Old English word port (meaning market town). The ancient British or pre-Roman name for the river was Dauen or Daan. In some cases, it was also an Anglicized version of the Irish (from county Tipperary, or Munster?) surname O’Donndubhartaigh, meaning the descendant of Donndubhartach, a personal name consisting of the words donn (brown-haired man or chieftain), dubh (black), and artach (noblemen). It also may be an Anglicized version of the Irish last name Donarty. One source states it was the gateway of the River Daven. Because they have an unbroken mail line going back to around the time of the Norman Conquest in the Middle Ages, a proverb states there are “As many Davenports as dogs’ tails”. There is also a place named Devonport in Devon, England, but interestingly, it did not seem to have produced surnames. Author Lewis Samuel, in his book A Topographical Dictionary of England, states the following in regard to this last name and Anglo-Saxon or Norman family: “The manor [of Marton, Cheshire] was given to an ancestor of the Davenport family, as a dowry with the daughter of Venables, Baron of Kinderton, in the reign of Henry I”. Some spelling variants or names with similar etymologies include Devonport, Devenport, Deavenport, Davenporte, Davienport, Davemporte, and several others. highest in county Radnorshire. In Ireland, it ranks highest in county Clare. In Northern Ireland, it ranks highest in county Down. The name is also present throughout the remainder English speaking world: Canada (2,993rd), New Zealand (1,098th), Australia (1,417th), and South Africa (5,715th). Richard de Deveneport was born in the Pipe Rolls of Cheshire in 1162 AD. Orm de Davenport was documented in Cheshire in 1166 AD in according to Earwaker’s East Cheshire. Ralph de Davenport was born in county Cheshire in 1415 ad. The Wills at Chester lists one John Davenport in Henbury in 1555 AD. Ralph Davenport was documented in 1574 AD according to the aforementioned source. A one Richard Davemporte was buried at Prestbury Church in county Chester, England in 1593 AD. An early baptism involving this surname was Thomas Davemporte in 1594. 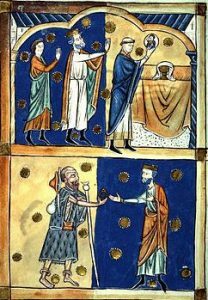 The lineage or ancestry of this family begins with Ormus de Davenport (a Saxon), who was born in the eleventh century AD. Several generations down (8th in descent from Ormus) the Davenport family tree came one Sir John Davenport, Knight of Weltrough and Henbury). He had a son named Nicholas de Davenport who lived in the fourteenth century AD. From him descended Christopher, an Esquire of Woodford, the grandson and heir of John of Woodward. He married Jane, daughter of Richard Gerard of Crewood, and had a son with her named William. This William was an Esquire of Woodford who married Dorothy, daughter of Robert Hyde of Norbury, and had issue with her. His son and heir was John Davenport, Esquire of Woodford. In 1594, John married Mary, daughter of Hugh Bromley. He died in 1653. His great grandson was also named John. This great grandson John was an Esquire of Woodford and a Major of the Chester force raised at Nantwich in 1689. He married Ann, daughter and co-heiress of John Davenport of Davenport, and died in 1733 without posterity, whereupon he was succeeded by his brother Monk. Monk was also an Esquire of Woodford who married Elizabeth, daughter of John Davies of Manley, and had several children with her. His son Davies Davenport was an Esquire of Woodford and Marton, as well as a Barrister-at-Law of the Inner Temple who was born in 1696. In 1721, he married Mary, daughter and heiress of John Ward of Capesthorne, and had issue with her named Davies (his heir), Charles (Rector of Brereton), Sir Thomas (of Hendon, married Jane Seel). Davies, the eldest son and heir, was an Esquire of Woodford, Marten, and Capesthorne and Barrister-at-Law of the Inner Temple who was born on 1723. He married Phoebe, daughter and co-heir of Richard Daveport of Calveley (a descendant of Arthur Davenport, son of Sir Ralph), and had a daughter and son with her: Phoebe (married Eusebius Horton) and Davies. His son Davies Davenport was an Esquire of Woodford, Marton, Calveley, and Capesthorne, a High Sheriff for county Chester, England (in modern day United Kingdom), and a Member of Parliament for Chester who was born in August of 1757. He married Charlotte, daughter of Ralph Sneyd of Keele, and he had four issue with her as follows: Edward Davies (heir), Henry (Lieutenant-Colonel, Major of the 87th Regiment), Reverend Walter (of Wooton Hall, assumed the additional surname of Bromley, married Carolina Barbara Gooch and later Lady Louisa Dawson, had a son and heir named William Bromley Davenport), and Harriet Katherine (married Honorable Sir John William, a Knight and a Judge of the Queen’s Bench). He died in 1837 and was succeeded by his son Edward Davies Davenport, an Esquire of Capesthorne (county Chester) and Court Garden (county Bucks) who was born in 1778. In 1830, he married Caroline Anne, daughter of Richard Hurt of Wirksworth, and had an only son and her with her named Arthur. This Arthur Henry Davenport was an Esquire of Capesthorne and a 1st Life Guard who was born in 1832. He passed away in 1867 without posterity and was succeeded by his nephew, William. William Bromley-Davenport was an Esquire of Capesthorne (county Chester), Baginton Hall (county Warwick), and Wooton Hall (county Stafford), a Member of Parliament (for North Warwickshire), and a Lieutenant Colonel (of the Staffordshire Yeomanry Cavalvry) who was born in 1821. In 1858, he married Augusta Elizabeth, daughter of Walter Frederick Campbell of Islay, and had a son and heir with her named William born in 1863. The Davenport Coat of Arms (mistakenly called the Davenport Family Crest or Davenport Family Shield by those unfamiliar with genealogy and the medieval European art of heraldry) is blazoned as follows: Quarterly, 1st and 4th, argent, on a chevron between three cross-crosslets fitchee sable a rose of the field, for Davenport; 2nd and 3rd, quarterly, per fess indented gules and or, an ineschuteon argent charged with a griffin sergeant vert all within a bordure gobony argent (and for distinction) a canton ermine, for Bromley. Crests: Davenport: A man’s head in profile proper around the neck a rope or; Bromley: Out of a ducal coronet or, a demi-lion issuant argent (charged for distinction on the shoulder with a cross-crosslet fitchee sable) supporting a pennon flying towards the sinister gules thereon a lion passant guardant of the first, the staff and spear erect proper. Family Motto: Fear God, honour the king. This family was seated at Capesthorpe (near Cheldford, Nantwich, and Calveley), Barington Hall (in Coventry) and Wooton Hall (Ashborune), which are all in England (part of Great Britain at times) in modern day United Kingdom in the British Isles of Europe. 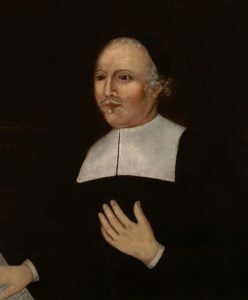 Reverend Evan Humphreys (Rector of Montgomery and of Clungunford, married Mary Pryce). A son of this marriage was a man named Salusbury. This Rear Admiral Sir Salusbury Davenport, C.B. and K.C.H., of Bramall Hall, county Chester, England, and Weedon Lodge, county Bucks, was born in 1778. In 1805, he first married Jane Elizabeth, daughter and heir of John Sirel Morin of Weedon Lodge, and had a son with her named Salusbury. In 1810, he secondly married Maria Davenport, heiress of Bramall Hall, and assumed the additional surname and arms of Davenport through this marriage. He had seven children with her as follows: William (see below), Trevor (born 1814, married Frances Sewell of Quebec, had issue named Captain Salusbury Sewell, Malcolm Nugent Ross who married Ellen Gouldbourne Parker, Jestyn Frances Trevor, Evelyn Jesse, and Constance Georgianna Marsland), Henry Wyat (Lieutenant of the 39th Regiment, married Catherine Durie, died in 1845 in India), John Salusbury (Assistant Commanding General, married Ann McNab, had several children), Charles Edgcumbe (Deputy Lieutenant, Captain of the Royal Regiment, married Emma Webber, had children including Cyril James), Emily (married Reverend Arthur Douglas), and Julia Harriet (married Henry Crookenden in 1842). He was succeeded by his eldest son William Davenport Davenport, an Esquire of Bramall Hall, Justice of the Peace, Deputy Lieutenant, and Lieutenant-Colonel Commandant of the 2nd Regiment Royal Cheshire Militia, who was born in 1811. In 1833, he married Camilla, daughter of V. Gatt, and had a daughter with her named Maria Dorothea (in 1860, she married Frederick Augustus Williamson, Esq.). He secondly married, in 1850, Diana Elizabeth, daughter of John Handley, of Muskham Grange, count Nottingham, and had a son with her named John William Mandley. He died in 1869. 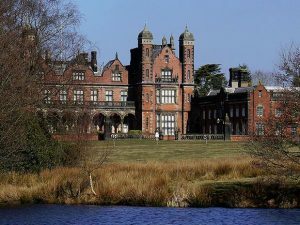 His son John William Handley Davenport was an Esquire of Bramall Hall, county Chester and Justice of the Peace born in 1851. In 1876, he married Fanny Constance Mabel, daughter of John Jervis Broadwood of Buchan Hill, and had a son with her who was born in 1877. The Davenport Coat of Arms has the following heraldic blazon: Argent, a chevron between three crosses-crosslet fitchee sable. Crest: A man’s head, couped at the shoulders and side head proper, with a rope round the neck or. Motto: Audaces fortuna juvat. 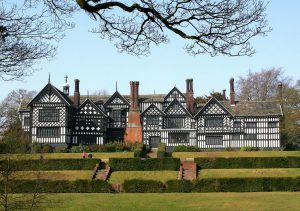 This family was seated at Bramal Hall, Stockport, county Chester, England, in present day United Kingdom. The Davenport genealogy or Davenport family tree or ancestry/pedigree/descent can be traced all the way back (in an unbroken male lineage) down to Ormus de Daveport. One website attempts to traces his lineage back, to Godwin of Mercia (born around 979 AD) and even further back to Ordhelm of Devon (born 249 AD), who in turn traces back to Icel Eomering (born 236 AD), who in turn traces back to Knivida of West Goths (born 89 AD), who in turn traces back to Thor King of Thrace (74 AD), who in turn traces back to Trois King of Troy (born 1337 BC), although this is all speculative. Several generations down the line from Ormus came one Sir Ralph Davenport of Daveport. Ralph had a son named Thomas Davenport, Esquire, who lived in 1498 AD. e married Alice, daughter and heir of Robert Hanford of Chorley, having a son with her named Robert. This son Robert was an Esquire of Chorley who married Anne, daughter of Bellot, and had a son and heir with her named William. This William Davenport was an Esquire of Chorley, who married Grace, daughter of Fowke Dutton of Dutton, and had a son with her named Henry. Henry was an Esquire of Chorley who married Jane, daughter of William Leicester of Toft, and had a son with her named William. This William Davenport, Esq. 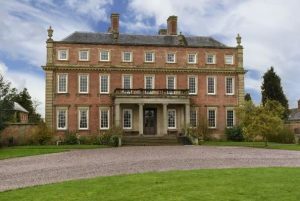 sold the Chorley estate and then seated himself at Hallon, Salop, England, which he acquired through his marriage to Jane, daughter and heir of Francis Bromley of Hallon. He had issue and his eldest son was Henry. Henry was an Esquire of Hallon who married Lettice, daughter and heir of Thomas Maddocks of Bridgnorth. His only surviving son was also named Henry. This son Henry Davenport, Esquire, in 1665, married Elizabeth, of Sherington Talbot. He had several issue onlduing a daughter named Mary (married Reverend William Hallifax and later Reverend Prideaux Sutton of Breedon) and two sons. One of his sons was Henry Davenport Esquire, who was born around 1677. He first married Lucy, daughter of Daniel Chardin, and had a son with her named Sharington (see below) and daughters named Mary Elizabeth (John Mytton) and Mary Luce. He secondly married Barbara, daughter of Sir John Ivory of Ireland and Anne Talbor of Lacock Abbet, and had a son with her named William. His only son of the first marriage, Sharington, was an Esquire of Gratiana Rodd of Hereford, and had four issue with her as follows: Daniel Chardin (married Jane Blockley), Sharington (born 1738, married a daughter of Major Farrington), William Yelverton, Edward (Vicar of Worfield, married Catherine Taylor of Worcester, had issue Edmund Sharington, Harry Chardin, Edward Ormus who went to the East Indies, Catherine Gratiana, Myra, Anne, Mary who married Alexander White of Scotland, Bertha who married James Milman Caley, and Barbara Juliana). His third son was William Yelverton Daveport, and Esquire of Davenport, county Salop, England who was born in 1740. He married Jane Elizabeth Crawley of Bath. He died in 1832 without posterity whereypon he was succeeded by his nephew Edmund. This nephew, Revered Edmund Sharington Daveport of Davenport, was born in 1778 and became the Vicar of Worfield. 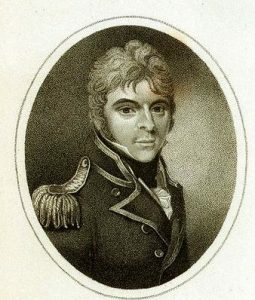 In 1806, he married Elizabeth, daughter of Joseph Tongue of Hatton, and had twelve children as follows: William Sharington (his heir, discussed below), Joseph Tongue (married Emily Elizabeth Leicester), Edward Montague (Major, married Mary Nciola Blake of Heath, had one daughter), Edmund Sharington (married Mary Moss), and Daniel Decimus Tongue (born 1823), Barbara Anne (married Reverend Cornelius F. Broadbent (Vicar of Worfield), Katherine Gratiana (married Octavius E. Johnson), Elizabeth (married George Nicholas, Harriet Juliana (married Captain Edward Owen of the Royal Navy),and Lucy Susannah (married Alexander Nisbet and Reverend Walton Kitching).He died in 1842 and was succeeded by his eldest son William. This William Sharington Davenport was an Esquire of Davenport, Salop, England and a Justice of the Peace born in 1808. In 1835, he married Catherine, daughter of Samuel Peter Marindn of Salop and had the following children with her: William Bromley (born 1836, Captain of the 2nd Regiment), Edmund Henry (see below), Vivian (Lieutenant of the 26th Regiment, married Frances Gratiana, daughter of George Nicholas of Harley Street in London), Charles Talbot (Lieutenant of the 83rd Regiment, married Constance Julia, daughter of Herbert Taylor Ussher), and Louisa Marindin (died in 1853). His son and heir, Edmund Henry Davenport was an Esquire of Davenport, Salop, England who was born in August of 1839. In 1875, he married Margaret Anne, daughter of Jame Smith, Resident Magistrate, Tasmanian Peninsular (Australia). The Davenport Coat of Arms (erroneously sometimes referred to as the Davenport Family Crest by those unfamiliar with heraldry and genealogy) has the following armorial bearing: Arms: Argent, a chevron between three crosses-crosslet fitchee. Crest: A man’s head couped at the shoulders and side-faced (missing word here? ), with a rope round the neck or. Motto: Audentes fortuna juvat. This family was seated at Davenport, near Bridgnorth. This family lived in Tettesworth located in the parish of Leek, county Stafford, England and descend from Rafe de Leke, son of Radul domi de Davenport (or Johan, son of Robert Legh de Adlington). Their descendant, John Davenport, was an Esquire and Member of Parliament for Stoke, who in 1795, married Diana Smart, daughter and heir of Reverend Michael Ward, by his wife Elizabeth Tichborne, and had a son with her named John. 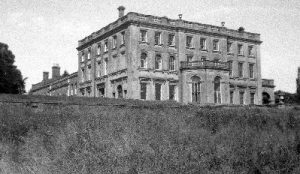 John was an Esquire of Westwood, county Stafford, who purchased the estate of Foxley in county Hereford from the Price family. In 1829, he married Charlotte, daughter of George Coltman of Hagnaby Prior, and had six children with her as follows: John Coltman, George Horatio (see below), Harry Tichborne (married Georgina Henrietta, daughter of Sir William Curtis, Baronet), Mary Ward (married Reverend A.A.B. Hanbury, had three daughters and one son), Diana Eliza (married Henry Longley, son of Archbishop of Canterbury, had a son named John Augustine), and Charlotte Lucy (married John Hunderford Arkwright of Hampton Court, Leominister, had one son and two daughters). Reverend George Horatio Davenport of Foxley, Hereford, was a Justice of the Peace, and M.A. of Oriel College Oxford, who in 1866, married Sophia Diana, daughter of Reverend Samuel Vere Dashwood of Stanford Park and Caroline Hamond of Westacre, fathering two children with her: Ralph Tichbourne (1873) and Charlotte West (1871). This family was seated at Foxley, Hereford, England and Redcliffe, Caswell Bay, Glamorganshire, Wales, both in present day United Kingdom. Thomas Sr. (born in England after 1610 AD, went to colonial America, married Mary Forth). He had the following children: Sarah (Jones), Thomas, Mary (Maxfield), Anna, Charles, Abigail, Mehitable, Jonathan Sr., Ebenezer, and John. Frank Howard Davenport (born in Pawtucket in 1884). Frank married Muriel Gray and had the following children with her: Olive Anne, Lois Mary, Barbara Grey, Marion Ethel, Frank II (born in 1920s), and George (born in 1930s). 2) Humphrey Davenport of Dorchester, who came from Barbados. He married Rachel, daughter of Thomas Holmes, and had sons with her named Richard and William. His wife was convicted of “playing cards” and they moved to New York due to this. 3) John Davenport of New Haven, Connecticut, the son of John, who was a minister there, born in 1597 and bred at Oxford, England. He attended Merton College. He first went to Amsterdam, Holland and then came to New England in 1636, arriving in Boston, and then moving to New Haven, CT.
4) Richard Davenport of Salem, MA, who came with Captain Endicot aboard the Abigail in 1682 from Wemymouth, county Dorset, England. It is believed he was born in Dorchester in 1606. He was a freeman in 1635. He had a daughter named Truecross. He was a Lieutenant and was injured in the Pequot expedition. He was a representative in 1637. He moved to Boston in 1642. He was appointed “captain of the castle where he was killed by lightning” in 1665. He married Elizabeth and in addition to Truecross (named from the Red Cross) had children named Nathaniel, Experience, John, William, Sarah, and Elizabeth. Truecross married Stephen Minot and Elizabeth married Asaph Eliot. His son William was a Sergeant in Phip’s Quebec Expedition. 5) Thomas Davenport of Dorchester, 1640, a freeman in 1642, might have lived in Cambridge. He had a wife named Mary and issue named Sarah (1643), Thomas (killed in King’s Philip’s War, part of Johnson’s company), Mary (1649), Charles, Mehitable (1657), Jonathan (1659), Ebenezer (1661), and John (1654). Joseph Davenport, age 30, came to the Barbados aboard the Expedition in 1635. Other early settlers in colonial America bearing this surname include George Davenport (Virginia 1702), Francis Davenport (New England 1708), George Davenport (Virginia 1713), Addington Davenport (Boston 1747), and Joseph Davenport (Virginia 1755). In Canada, some of the earliest bearers of this name were United Empire Loyalists (American who remained loyal to the British Crown during the American Revolution) who came to Nova Scotia aboard the HMS Clinton in 1783, including Isaac, Elizabeth, Ann, and Samuel Davenport. In Australia, one of the first bearers of this last name was Thomas Davenport, a convict from Staffordshire, England who came to New South Wales (then a penal colony) aboard the Almorah in 1817.In 1820, Samuel Davenport came to New South Wales aboard the Asia. He was a convict from Middlesex, England. In New Zealand, a family bearing this name came to the city of Wellington aboard the Oliver Lang in 1856, including Thomas (age 35, a blacksmith by trade) Davenport, along with his wife Mary, and children John, Mary Ann, and George. 1) Argent a chevron three crosses crosslet fitchée sable. Crest: a stags Head cabossed. Motto: Audentes fortuna juvat. On will of Francis Davenport, Probate Office, Suffolk Co., Boston. Also on letter from Rev. John Davenport to Gov. John Winthrop (Winthrop papers). Also shield on Isaac Davenport’s bookplate. Seal on Doc., Mch. 2, 1690-91, of Addington Davenport, Mass. Archives, vol. 36, p. 415. Vermont’s Amer. Heral., pp. 46, 163. Heral. Jour., vol. 2, p. 179; vol. 3, p. 177. 2) Sable a chevron gules between three crosses crosslet fitchée [azure] as many roses of the field. Crest: a Saracen’s head in profile proper wreathed about the temples, the wreath surmounted of a crescent. On notepaper of Mrs. Geo. H. (Camilla) Davenport, 460 Beacon St., Boston. Set also N. Y. G. and B. 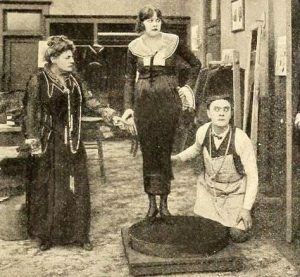 Record, April, 1912, p. 189. 1) Reverend John Davenport of New Haven, Connecticut, from Chester, England. Arms: Argent, a chevron sable between three cross-crosslets fitchee of the second. Crest: A felon’s head couped at the neck proper, haltered or. Motto: Audaces fortuna juvat. Matthew’s American Armoury and Bluebook (1907) contains one entry for this surname: William Daveport Bates of Brooklyn who was born in New York City in March of 1847. 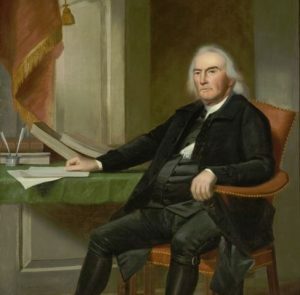 He was a graduate of Yale University and a member of the Constitutional Convention and a Public Administrator of King’s College. He married Charlotte Cordelia, daughter of George F. Shepherd, and had two daughters with her: Edith Hoxie (1870) and Florence (1882). Arms: Argent, a chevron sable between three cross crosslets fitchee of the second. Crest: A felon’s head couped at the neck proper, haltered or. He was the son of Julius Davenport of New York City. He was a descendant of Reverend John Davenport who was born in Coventry, England born in 1597, who in turn was a descendant of Ormus de Dauneport, born in 1086 AD. There are hundreds of notable people with the Davenport surname. This page will mention a handful. Famous people with this last name include: 1) Abraham Davenport (1715-1789) was an American politician who was a member of Connecticut’s Governor’s Counil during the Revolutionary War and was also a colonel in that state’s militia, 2) Alice Davenport (1864-1936) who was an early American movie actress born in New York City who appeared in 140 films during from 1911-1930, 3) Arthur Davenport (1956), or Chaka Fattah, was a member of the US House of Representative from Pennsylvania from 1995-2016, born in Philadelphia, 4) Calum Ray Paul Davenport (1983) who was a former English football (soccer) player born in Bedford who played for 10 different teams between 2001-2015, 5) Charles Benedict Davenport (1866-1944) who was a well-known American biologist born in Stamford, Connecticut who was a leader of the infamous eugenics movement in the United States, 6) Francis Davenport (1598-1680), also called Father Francis of Saint Clare, was a royal chaplain and English Catholic theologian, 7) Dorothy Davenport (1895-1977) who was an actress, director, producer, and screenwriter during the silent film era of Hollywood, born in Boston, Massachusetts, 8) Franklin Davenport (1755-1832) who was a member of the US House of Representatives from New Jersey and also a US Senator from the same state, a member of the Federalist Party who was born in Philadelphia, Pennsylvania, 9) Frederick Morgan Davenport (1866-1956) who was a Republican member of the US House of Representatives from 1925-1933 and a former state senator, born in Salem, Massachusetts, 10) Colonel George Davenport (1783-1845) who was an American fur trader, sailor, merchant, frontiersman, city planner, and soldier who was born in Lincolnshire, Virginia who was a prominent settler in the Iowa Territory and Rock Island, and 11) Harold Daveport (1907-1969) who was an English mathematician born in Huncoat, Accrington, Lancashire who is known for his work in number theory. The two main heraldic symbols depicted within the Davenport Coat of Arms (mistakenly called the Davenport Family Crest) are the cross crosslet and chevron, each which have their own unique meaning. No other symbol appearing in heraldry is subject to as much variation as the cross. Medieval Europe was a deeply religious and Christian and many of the nobility wanted to show their devotion by adopting the symbol of the cross as part of the arms. Since no two arms could be identical there arose many variants of the cross. The cross crosslet is one of these, being symmetrical both vertically and horizontally and having an additional cross bar on each arm. Wade suggests that these additional crossing signify “the fourfold mystery of the Cross”. The chevron is one the major shapes used upon a shield, known as ordinaries. The inverted ‘V’ of the chevron is perhaps thought to have originated to represent a military scarf folded on the shield, or additional cross-pieces used to strengthen the shield and painted a different color. It has also acquired the meaning of “Protection… granted… to one who has achieved some notable enterprise”, possibly because of its resemblance to the roof truss of a house. It represents protection and was granted to someone who achieve something of note. It was also given to persons who constructed forts or churches. The two main tinctures (colors) within the arms are sable (black) and argent (white). The former symbolizes grief, wisdom, prudence, and constancy. The later conveys chastity, loyalty, strength, truth, and faith.